I’m very proud of this simple photograph. I think it sincerely captures two people that, in this moment, are genuinely curious about each other. This trip to Bali has been great and I’ve already made a few very touching portraits. The mix of fashion and culture over the next two weeks will be really great for the blog. This reminds me completely of the best portraits that came out of your latest book. Amazing picture!!! he is so nice!!! I’m always humbled when I see images from other cultures; I can’t imagine how different their life is from mine. The look, so innocent and pure. Enjoy the journey. Amazing portrait, he looks so curious about you! REally stunning shot , they you captured the moment ! I really like it. the boy is so cute. I love the expression he has on his face. So genuine and real. 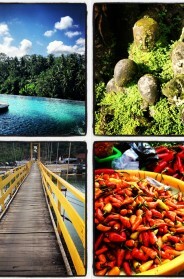 Can’t wait to see more of your photos from Bali. Loved seeing Garance’s photos. Such a strong shot, you captured amazing colors of the landscape and his expression beautifully!!! Stunning shot! I think the sense of curiosity is well-captured and the landscape is incredible! This is one of your best photographs. I love it. thats great!! this pictures are so special! This portrait is beautiful, and your caption is elegant in the way that simplicity and modesty complement the level of art and striving for the ever-better that you are making with every photo, every post, and every book. Love, love, love. This photo is AWSOME!! Love the landscape and this kind is too cute! Love this portrait. I met you this past season at NYFW in front of the Ralph Lauren show. My girlfriend and I just returned from Bali a few weeks ago and couldn’t have been more touched by the people there. It truly is an amazing country with equally amazing people. Experiencing their culture really allows us to step back from our every day life and realize how simple and enjoyable life can be. We look forward to seeing more of your photos from your trip. Enjoy! A mixt of worlds. Love the pic. Beautiful picture. I really look forward to seeing more of what you captured in Bali. So excited for these pictures – the first thing I did after reading Garance’s hilarious blog was click over here to see what you shot :). I find something postcolonial about it, I don’t like it, there’s nothing “fashion” about it picture, it only contrasts poor child from Bali on a field with rich people in expensive clothes from the Western culture. I don’t think he feels and appears poor. I am balinese and as I could guess he’s very happy as normal balinese kids raise up there..
great shot, enjoy my country and my rich culture! Please visit other Indonesian islands next time! 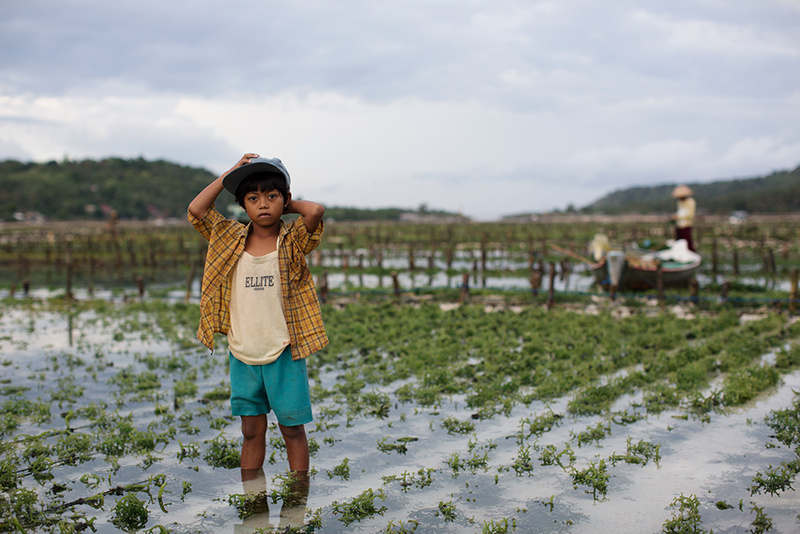 Is this ‘cute’ photograph not a little ignorant of the child’s living circumstances and the reason why he is working in rice fields and not at school? Great photo for the blog, but perhaps an acknowledgement of wider issues (especially evident in the t-shirt) at play here would help. Actually, it was probably school holidays if this was taken in July. Most Indonesian kids are indulged and happy, regardless of their socio-economic situation. There are definitely wider issues here in Indonesia, but this picture doesn’t represent any of them. This little guy knows how to pose naturally ! We’ve been spoiled with Garance’s pictures from Bali. Now we are going to enjoy yours as well. What a treat ! Photos like this, which both are and aren’t about fashion, make your blog multi-dimensional and on-goingly interesting. I’m really waiting for the day THE SARTORIALIST will come to visit us here in the PHILIPPINES too! I visit your blog everyday and even have both of your books :D All the best! What is being grown in that field? Oh, what a cute kid! I look forward to your pictorial of Indonesia! I visited a cousin there many years ago …. I was so struck by the vibrancy of the colours in the fabrics and batiks. And the Balinese dancers’ costumes!!! Can’t wait! You have every reason to be proud, this photo is so beautiful! Can’t wait to see the other photos! Touching! This is LIFE captured! sorry, but there is nothing to be proud of, it’s quite easy to go to an emerging nation and to take a picture of cute, poor children, who arouse compassion. white European man with his camera worth more than the whole property of this boy’s family. so i should only take photos of people in my income bracket? seems a little small of you. Piotr, the point is not so much what the photographer should do with his camera but rather what the viewer of the photograph takes away from the subject matter. Your blog is about the curious and evolving world of fashion, absolute fashion moments are captured in your amazing photographs. But this image is very different. Could you have projected a western viewpoint/gaze onto this young person? The pose looks very constructed and very similar to how fashion magazine editors choose to present clothes on models. Your concluding comment under the image fuels the idea that this is useful for you and your blog. I think the picture is lovely. But I don’t like your title. I think it juxtaposes privilege against the boy’s humanity. I have followed your blog for months now. You have a great eye. But it seems sometimes that you are in a bubble and perhaps not cognizant of the world outside your chosen field. Yes, I understood that. But I think it makes a larger statement than that. Totally get why you’re so proud, it’s beautiful! Lovely, but isn’t this a reminder that fast fashion ends up in bales in places like Bali? I loved your Morocco shots, so I’m sure you’ll do Bali justice. Cheers! A really great picture, love it!! Scott, when I see a photograph of yours like this and the bit of effort it must have taken to stand in the water-logged field with your subject, I see you as a photographer first who just happens to admire and record the style/fashion of the day. The great irony of this shot is that the boy probably will never realize he was for a fleeting moment a single degree of separation from the fashion circles of Paris. It’s not your responsibility to raise the living standards of those perhaps less fortunate (I can only assume from the photograph) but it is your talent to record the spectrum of how and why people get dressed each day. I can’t wait to see what you post! It’s a beautiful photo but it’s also sad, because I guess she’s working there, and children are not supposed to do it, anywhere. It is became a common activity here. Some playground even put rice/seaweed farm full of mud so the children can play role like a farmer and then they will appreciate the job and their food later. I think the child is a girl..she’s wearing earrings. Beautiful pic btw..great contrast with the dark looming clouds in the background. Beautiful shot, very McCurry. I’d love to see more of these from you in the future ! Out of all the photos I’ve ever seen on this blog, this has got to be the most candid, natural, and “inviting our imaginations into this little world” shot. Now this is REAL. KEEP THIS UP!!! I really like his outfit. This photo shows what I love the most about fashion and style; that literally everyone is involved everyday, wether they think they are or not. We all make a decision to wear what we wear, with the exception of those who literally have no clothes. But to me this child totally strikes me as the kind of person who does think about it, and tries (with whatever limited resources he and his family might have) to put together the best outfit he can. If this outfit was on some skinny tan model looking person, half these commenters would be oohing and aching how chic, or retro, or some other overused hip fashiony term. You’re thinking too much. Obviously the irony of the tee shirt is lost upon you. Beautiful, touching, evocative. You at your best! A photograph of contrasts. Most of us get to select our clothes to sort of communicate something, brands target their productions to very specific markets. These clothes have randomly ended up on this cute kiddo, and is like the opposite of intent. COOL pic, love it. And I dont understand how people can say this kid might have an unhappy life or be less privileged, is not money that make us happy, right? For those with post-colonial hang ups, Scott is just capturing the moment of contact between two human beings from different world curious about each other – In Indonesia, a westerner (or half westerner) person could be an object of curiosity on the street. Yes, Indonesia is a very messy place in all aspects of its being, but one visit there will show you that most of it are of their elite’s doing – just like in many African countries. So, please don’t blame the visiting westerner. Trust me I know. I spent childhood with my father there. Hello there! This blog рost could not be written much better! Looking at this post remindѕ me of my previous roommate! to him. Ρretty sure he’ll have a very good read. Thanks for your understanding and, very useful for me who are learning SEO. if agan willing, please bagiin sciences ball agan forum and adults belonging to ane dong gan.